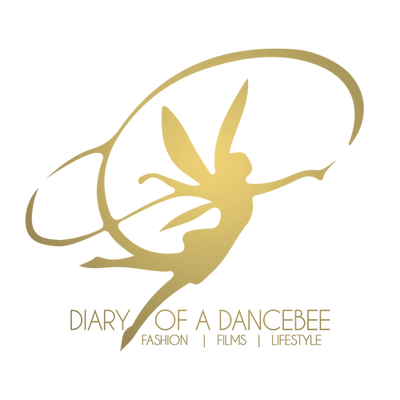 With the long weekend coming up, you might have some exciting plans chalked out already. However, if you are someone who is still clueless, don’t worry. We have got this sorted for you. During the upcoming ‘bada weekend’, ditch the same old local spots or tried and tested touristy ‘things to do’ at a nearby hill station. 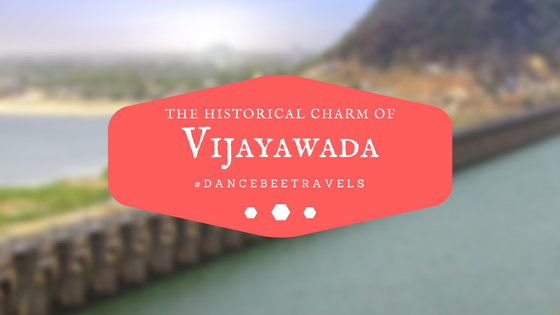 Pack your bags and take off to Vijayawada. Why? Well, we give you more reasons than one to explore this beautiful city, packed with the perfect blend of history, culture and technology. Accommodation: Basic, mid - range to luxury; there are several hotels in Vijayawada that one can choose from. Most of them are located close to popular tourist destinations, including the Kanaka Durga Temple, Museum, Kondapalli among others. Travel: Vijayawada airport is located 20kms away from the main city. The airport has direct flights to Hyderabad and Vishakapatnam at regular intervals. You can take a connecting flight from your city (most of which stop at Hyderabad) and reach Vijayawada. Since there are no direct international flights, one can choose to get a flight ticket for Hyderabad and then, catch a connecting flight. Another option would be to travel by train, as the Vijaywada railway station is very well connected to all major stations in the region and one can easily book a ticket by looking at the train schedule on IRCTC website. State transport buses also connect Hyderabad and Vishakapatnam to Vijayawada. One of the most popular and important examples of monolithic rock cut architecture in India, the Undavalli caves were carved out on solid sandstone around the 4th - 5th century. 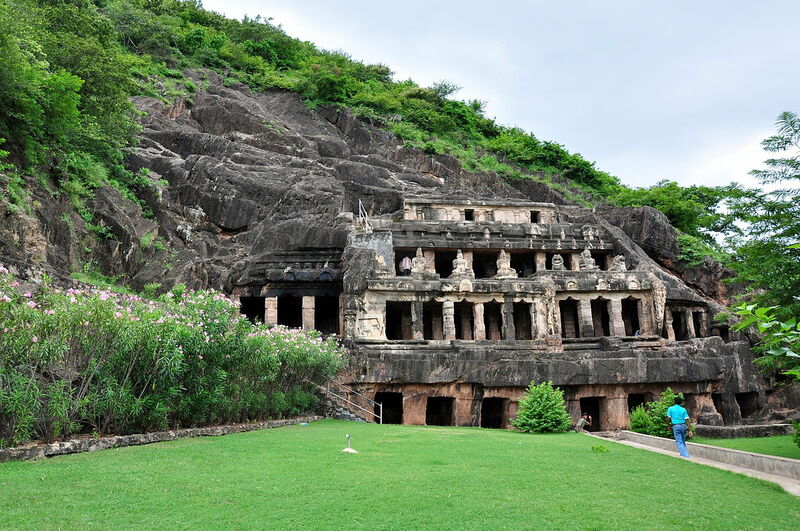 The caves are said to be found in the 7th century and the main cave is a fine example of the early Gupta style of architecture. It is said that the caves were used as a resting place by Buddhist monks. 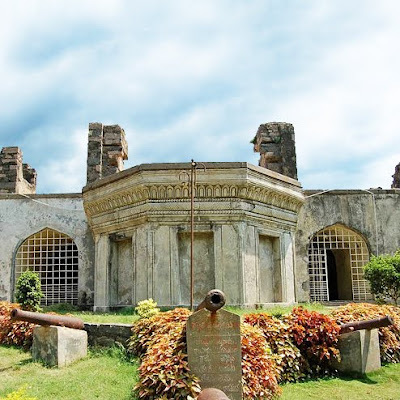 Located at Tadepalle Mandal in Guntur district, this marvellous slice of history is a must visit for its exceptional and beautiful surroundings. A sculpture of Lord Vishnu, made out of a single granite block, is one of the biggest attractions at the caves. A popular temple dedicated to the Goddess, the Kanaka Durga Temple is situated Indrakeeldari Hill (on the banks of river Krishna). The idol is said to be swayambhu, and appears in the astha-bhuja form (eight handed) with a powerful weapon in each hand to destroy the demon. The temple has major significance and has been mentioned in several sacred vedic texts, including the Kaalika purana. Navratri is celebrate with great pomp, with hundreds of devotees thronging the temple everyday. It is the best time to visit the temple, especially with all the festivities and special programmes. Kanaka Durga is decorated as Balatripura Sundari, Gayathri Annapoorna. Mahalakshmi, Saraswathi, Lalitha Tripura Sundari, Durga Devi, Mahissura Mardini and Raja Rajeswari Devi on each day of the Navratri festival. On Vijaya Dasami day, the deities are taken in a swan-shaped boat around the Krishna river, popularity known as “Theppotsavam”. In order to plan a darshan or seva, you can pre-book a pass on their official website. Kondapalli is well known for its ancient fort and the locally-made toys. The fort was originally built as a business centre by Prolaya Vema Reddy of Kondaveedu during the 14th century. Over several centuries, the fort saw various invasions and wars. Later, it served as a training camp of the British Empire. Today, Kondapalli is among the most popular attractions in Vijayawada. While discovering the majestic architectural marvel of Kondapalli, don’t miss the popular sound and light show at the fort. Another attraction are the locally made toys. Don’t forget to pick up some of these Kondapalli toys, which are quite popular, thanks to it’s connect with ancient history. Poniki, a special type of light wood is used to make these toys, which generally resemble the characters of ancient myths and epics. 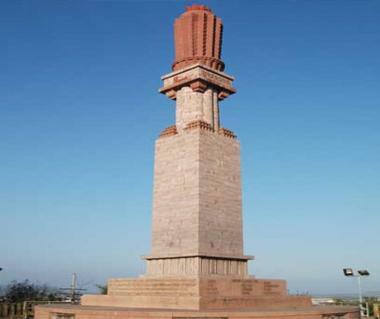 Gandhi Hill is a special homage to Father of the Nation - Mahatma Gandhi. Located in Vijayawada (close to the Vijayawada railway station), Gandhi Hill is home to seven stupas. One of the stupas, known as High Gandhi Stupa, stands at a height of 500 feet and has inscriptions of Mahatma Gandhi's teachings, just like all the other stupas on the hill. You can also explore the Gandhi Memorial Library and planetarium. The sound and light show held at the hillock makes for a must watch. Gandhi Hill offers a breathtaking view of the city, especially post sunset. The memorial was inaugurated on October 1968 by the then president of India, Dr. Zakir Hussain. 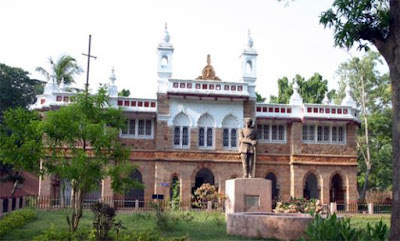 This beautiful archaeological museum was established in the year 1887 in Vijayawada, and was created as part of the celebrations of the Golden Jubilee of Queen Victoria. It houses many artefacts and archaeological treasures that are very well preserved. The museum has exhibits of pre-historic tools, stone and copper plates, gold and silver coins, weaponry, textiles and pottery. The main attractions of the Museum are Mahishasura Mardhini (Goddess Durga) and Buddha images, especially a standing Buddha of white limestone that was excavated in Alluru (3rd–4th century). There are also some magnificent sculptures of Lord Shiva from the 4th and 5th century. Entry is free and the museum is open from Saturday to Thursday, 10.30 am - 5 pm. Wow!Travel details are good to hear from you.Thanks.I am a writer at custom essay writing service,if there is anyone need essay writing service helps,please refer us.